Last year I made a list for myself about products that I wanted to try out. Unfortunately I’m a product junkie. I am always buying stuff and the bad thing is some I don’t even use. So the list was really helpful for me. 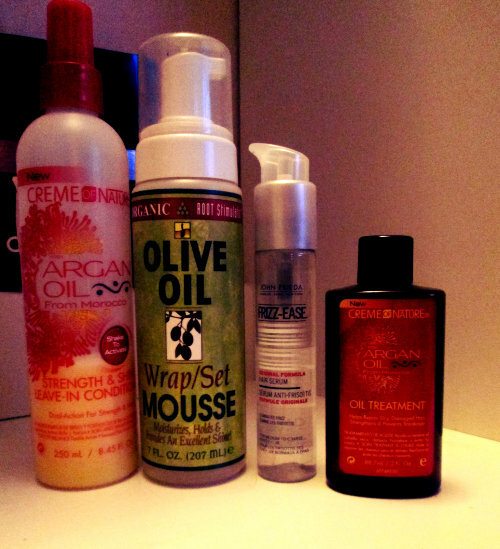 I’m in love with some of the products, and when I say in love … ow boy I’m hooked, lool. My number one love is the Elasta QP Olive Oil Mango Butter. This creme really .. really helped me. I will do a review about it. And the second place goes to …….. Creme of Nature Moisture Extreme Conditioner. This conditoner … what!! Lool. I’m so glad that I found this conditioner. From all the products that I purchased I’m not sure if I will buy Mane N Tail and Creme of Nature Argan Oil Strength & Shine leave-in again. So I finally decided to wash my hair. What I’m doing lately is really really bad. On February 9th I took down my u-part wig. It was two weeks already and my edges needed a break. But I was sooo tired that I really didn’t had the energy to go and wash my hair. So I told myself I will do it on Monday, after work * side eye *. The last time I clarify my hair was in September. I need to step my game up, but yeah it’s time to clarify my hair. 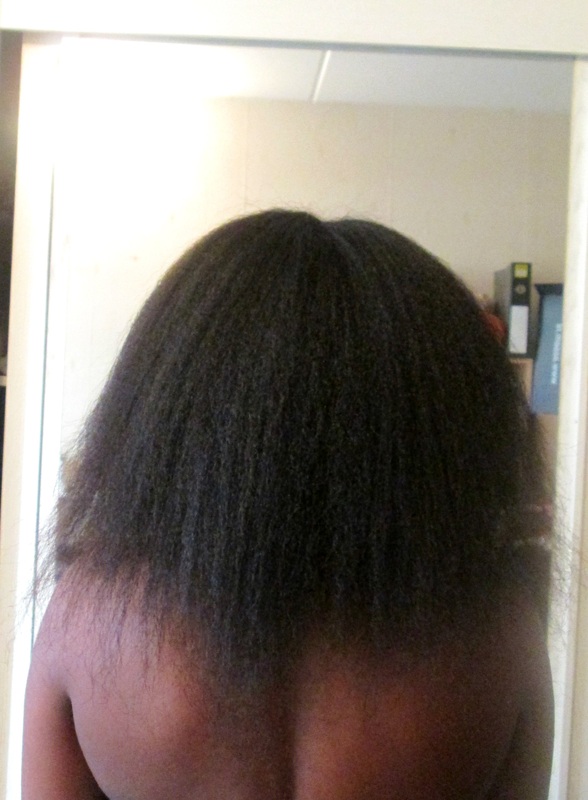 For this routine I used ORS Olive Oil Creamy Aloe Shampoo. I sectioned my hair in 8 parts. Working in parts works for me. after the wash my hair was rough, this shampoo really clarifies. When I was done washing I applied Redken Real Control Conditioner for some boost. I’m starting to like this conditioner. It’s a light weight conditioner so I left in for 5 minutes. For about 6 minutes I t-shirt dried my hair. In the mean time I mixed my conditioner with some oils (Creme of Nature Professional Moisture Extreme Conditioner with castor, grape seed, peppermint, rosemary oil and glycerine). I deep conditioned for 45 minutes with a hooded dryer. When I’m done conditioning I let my hair cool off for 5 minutes. This conditioner is definitely a K E E P E R.
I always start late with my routine, I don’t know why I always do that. In the evening I had a date with my girlfriends. I applied Garnier Fructis Nutri repair 3 leave-in all over my hair and without detangling my hair I put it in a high bun and I was ready to go. 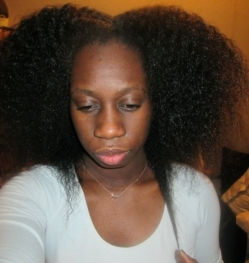 I didn’t use a lot of product because the next day I planned to flat iron my hair. Washing your hair is always a good thing. I’m 18 weeks post and I love how my new growth feels. This song hits home everytime ..